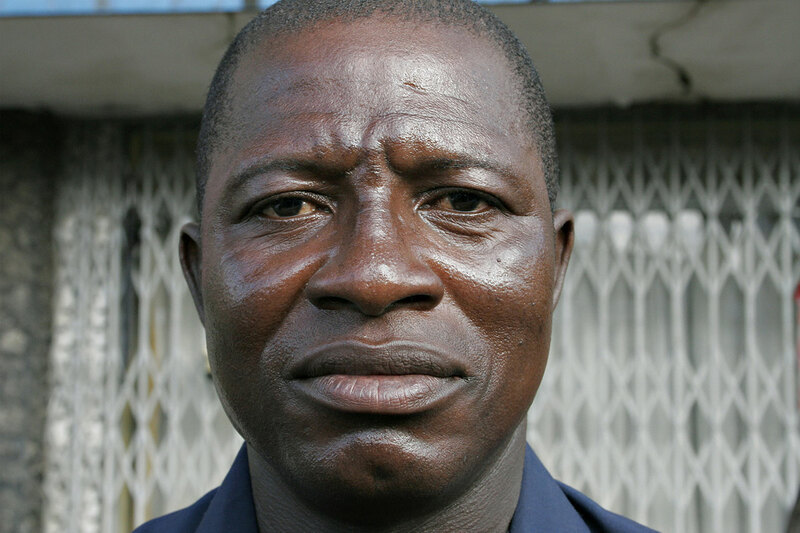 Tamba Ngaujah was the first amputee of the war in Sierra Leone, which featured brutal amputations of civilians by all three fighting forces. Rebels from the Revolutionary United Front (RUF) captured Ngaujah on November 21, 1992, and cut off both of his hands. He has chosen to forgive the perpetrators because he believes that taking revenge would lead to generational conflict. • Consider the significance of being recognized as the first amputee of the brutal, decade-long civil war in Sierra Leone. How does knowing this fact about Tamba Ngaujah impact your viewing of his portrait? • In the caption for this portrait, photographer Sara Terry notes that Tamba Ngaujah “has chosen to forgive his perpetrators because he believes that taking revenge would lead to generational conflict.” What do you think of his comment—does it fit with your understanding of justice? In what ways might forgiveness help prevent generational conflict? Some would argue that forgiveness without punishment lets the perpetrators off too easily. Do you agree? • Do you believe that there are specific elements of a community or characteristics of an individual that impart the capacity to forgive or the inability to forgive? What might these be?